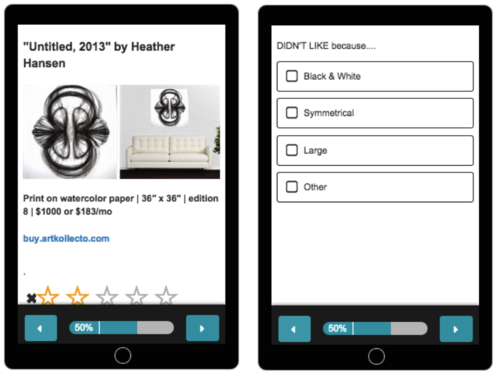 I am officially a Survey Gizmo believer. After struggling with a dozen survey-builders, I finally found my solution in Survey Gizmo ($50/mo). I started with a spreadsheet with data on what each client liked + their budget (i.e. Abstract art, $500 & below). 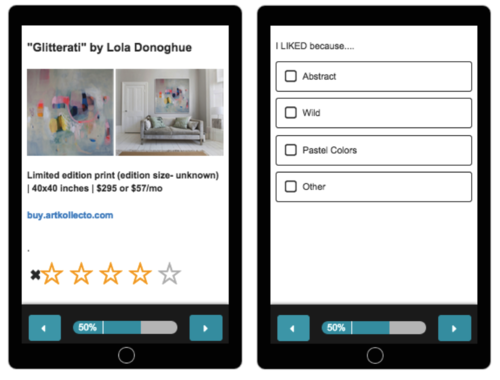 Survey Gizmo pulls from my spreadsheet and shows/hides artwork based on what the user’s preferences. We can then send each user a custom link with their preferences pre-populated. Lately, my friends have been talking about a dating app, called Coffee meets Bagel. 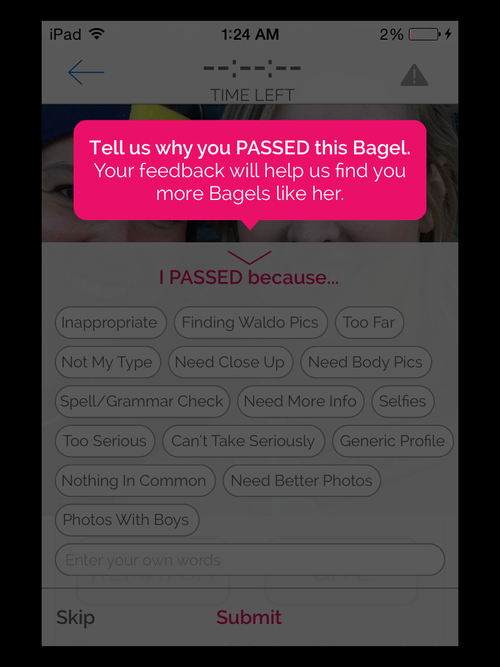 Coffee meet Bagel show users a daily match recommendation. Users rate the match. Then, the app is smart enough to ask WHY the user liked or didn’t like the person. Which is super smart, because most other apps just infer why you liked someone. Built a similar “Liked because” feature to gather better data about what people like so that our curators can send better recommendations. I’ll come back to this post & add my learnings since this just launched today!